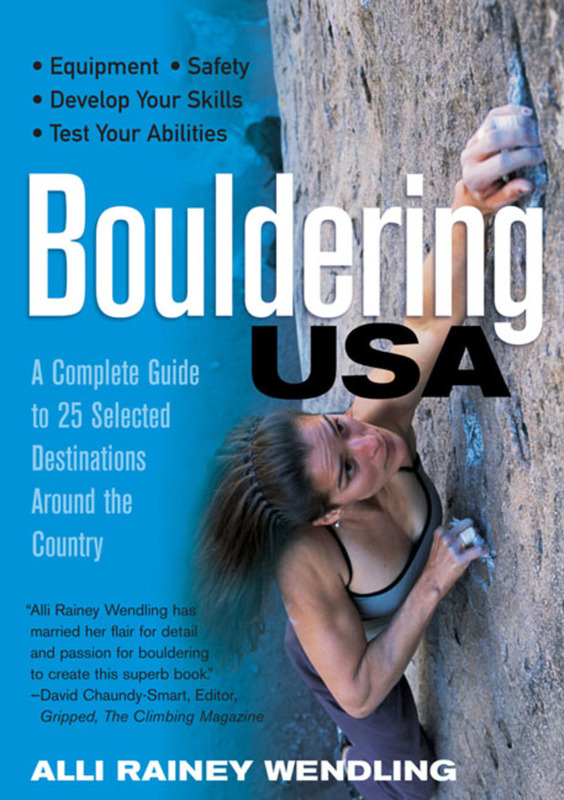 Bouldering USA covers nearly everything boulderers of any ability would want to know about the hot new sport of bouldering-from how to do it to the best places to boulder across the U.S. Alli Rainey Wendling introduces readers with little or no experience to the sport, including what equipment to buy, how to develop basic skills, and safety considerations. More-experienced boulders will benefit from Wendling's techniques and tactics for success garnered from her own experience as a champion competition boulderer. Even more, Bouldering USA provides detailed information about 25 selected bouldering destinations across the country, from Joshua Tree National Park in California, to the Front Range in Colorado, to the legendary Shawangunks in New York. Directions to each bouldering area, recommended problems, and stunning photographs accompany the author's insider tips for the best time of year to climb; also included are recommendations for campsites, restaurants, and other climbing areas; online resources; and more. This how-to and where-to guide delivers all of the necessary information that you'll need to get involved in this fast-growing sport and to plan your own bouldering adventures. 40 black&white photos, 8 color pages, 15 maps, index.